Hiking is one of the best cardio workouts out there. 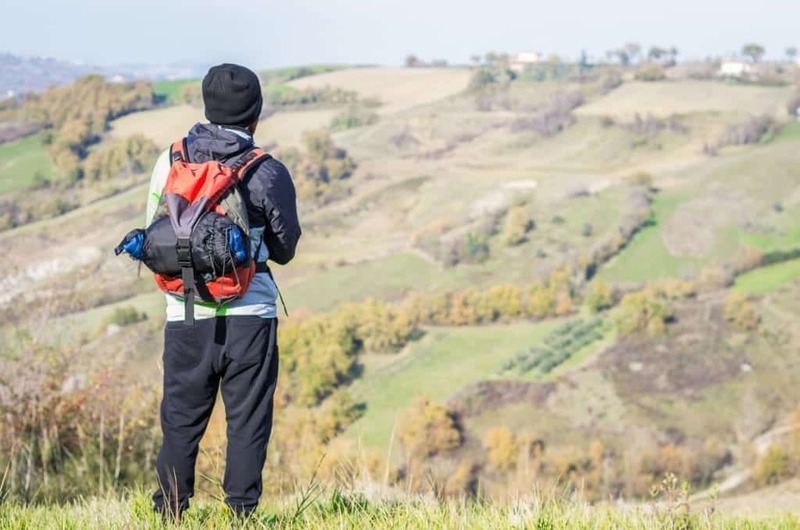 There are many physical and mental health benefits of taking a great hike. 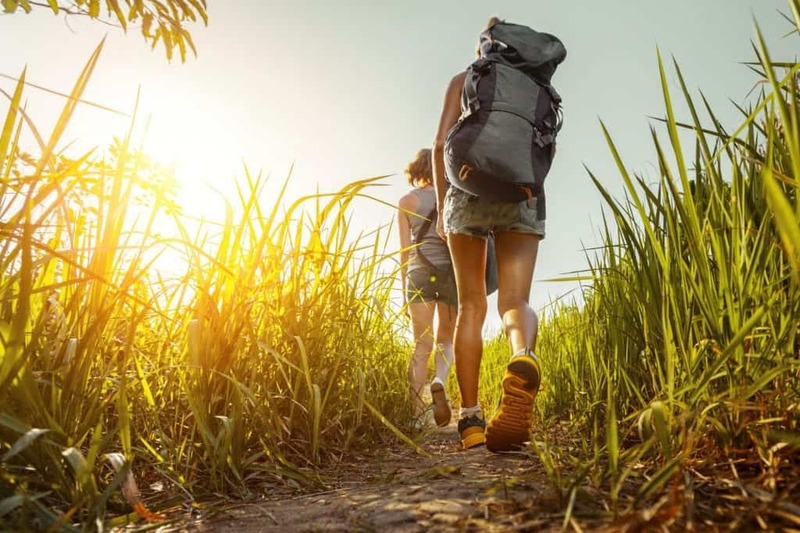 Backpacking can burn massive amounts of calories. That’s why preparing nutritious and simple snacks is important for a successful trip. Replenishing nutrients and building energy is a must for any active hiker. Once you’re in your groove, you’re not going to want to worry about digging up your next meal. That’s why it’s good to plan ahead. Here’s your guide to the best backpacking food ideas for your next hike. There are some important factors to consider when preparing your backpacking meals. 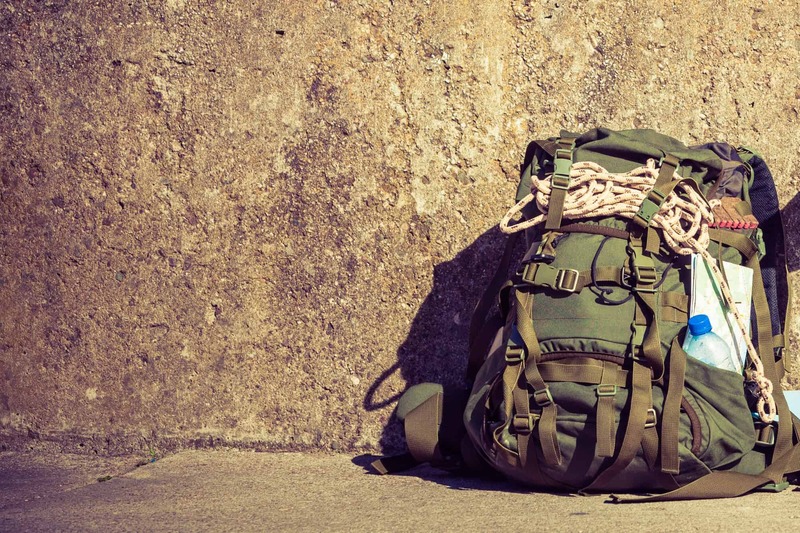 The length and level of physical difficulty of your hike will determine how much you need to pack. A trip that’s longer will require more strategic planning and packing. Backpacks can only hold so much. A comprehensive hike calls for a larger itinerary of meals and snacks. Fresh foods are better suited for shorter hikes. 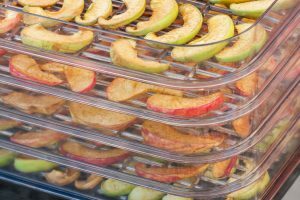 Because they go bad fast, it’s best to bring fresh fruits or perishable items on day trips. Or, you can plan a way to keep them preserved on a long hike. 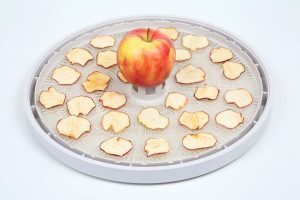 Dehydrating your foods is one great way to take the legwork out of preservation. 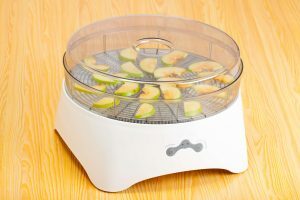 Investing in a food dehydrator will allow you to take delicious foods on your hike that may spoil otherwise. 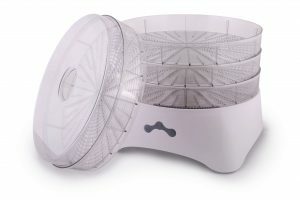 Storage is a key consideration in packing foods. There are specific containers made for hiding things from potential hungry animals. Bags, coolers, and tin foil will also help you store your food right depending on the item. If you’re an environmentally conscious person, keep in mind that you will need to get rid of trash and excess food. Lighter foods and tools are better for backpacking trips. 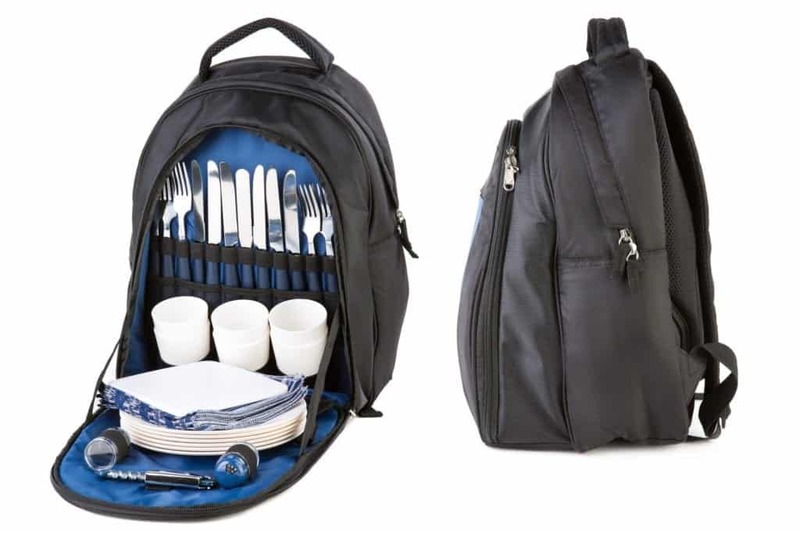 In general, strive to pack lightweight items to avoid having to carry bags that are too heavy. If you’re planning on cooking hot meals, you may also want to look into a portable stovetop with fuel. Hikers burn a lot of calories. The average backpacker may burn up to 3,000 to 4,000 calories in a day. So, don’t skim on calorie intake when planning your meals. Your body will need to replenish its energy. Getting the proper nutrition is the biggest priority. 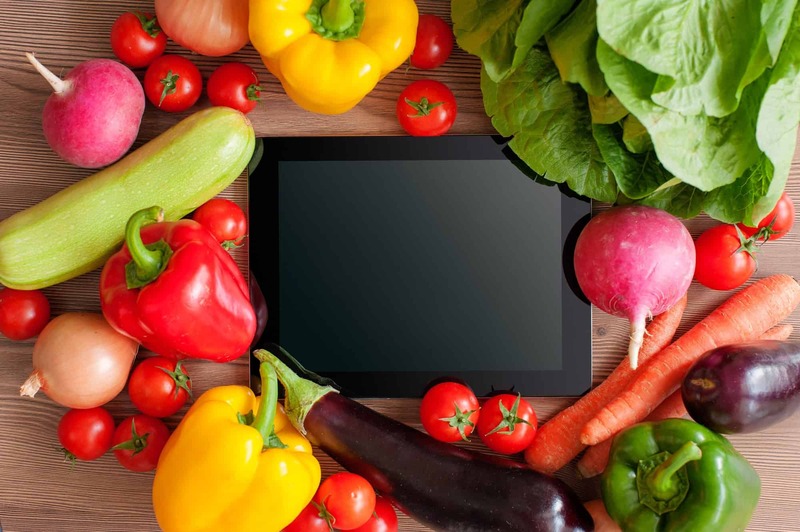 Convenience and nutrients are major things to think about in food preparation. You’ll want to get the calories and vitamins you need with ease. 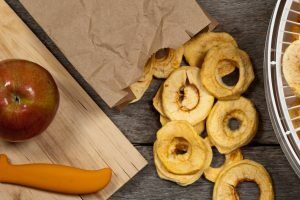 Let’s start with the best snacks for a hike. Eating snacks every hour or every couple of hours is an excellent way to keep your energy up. They give you calories without halting your progress. Energy and protein bars are easy, go-to snacks to get a quick boost of sustenance. Granola bars are also a great option for starting your day off light. 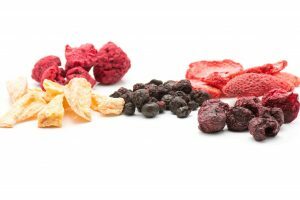 Dried fruits such as banana chips and dried figs are nutritious and simple to grab. Packaged items like peanut and almond butter also make convenient snacks on the trail. They’re filling and you can eat them right out of the packet. Adding them to some whole grain crackers is also a good choice. Other yummy hiking snacks include trail mix, jerky, nuts, and dark chocolate. Breakfast is very important ahead of a long day of hiking. Most hikers start off their day with some type of caffeine such as coffee or tea. For coffee, you can buy individual packets or brew your own servings on the day. You can make tea fast with boiled water and a tea bag or loose leaves. Healthy cereals are a popular staple on backpacking trips. Whole grains are ideal for your choice of cereal. If you can’t refrigerate milk for your breakfast, powdered milk is an available alternative. 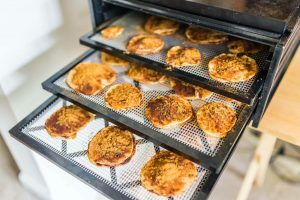 Dehydrated eggs, pancake mix, and juices are other breakfast foods to consider bringing on your adventure. Many backpackers opt to eat a cold meal for lunch. This removes the necessity of setting up a stove and burning a lot of valuable hiking time. Various lunch meats and cheeses make a good sandwich for lunch. For these, you can bring whole grain bread, bagels, or even tortillas. Jelly, peanut butter, or honey can also make up a sandwich meal. You can store sandwiches in tin foil where they’re more likely to stay fresh. With this preparation technique, you can even make tuna or chicken for your meal. It will stay preserved longer if stored well. Remember to consider what condiments and spices you may also want for your lunch. These complement your food and add variety to your diet. Dinner is the best time for a hot backpacking meal. If you have a stove, plan to bring enough fuel for the length of your trip. A quick, easy dinner might include instant rice, soup, or ramen noodles. Pasta is also a solid option for getting those much-needed carbohydrates. Freeze dried and packaged meals such as chicken make the perfect dinner after a day of activity. But, they can be heavy to carry and sometimes pricey. It will depend on how much you’re willing to hold and spend on your trip. 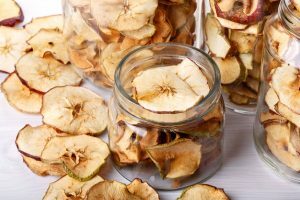 Dehydrated foods like vegetables will give you the nutrients you need and also make a tasty snack on the go. 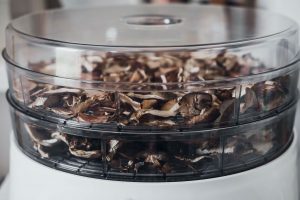 Some dehydrated veggies include carrots, tomatoes, peppers, and peas. Hiking and staying energized has never been easier with these backpacking food tips. Remember to always plan ahead, be prepared, and stay hydrated with enough water out on the trails. 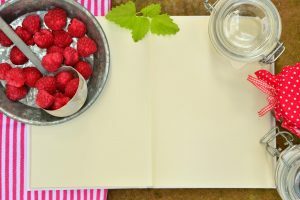 To read more on easy meals and hiking health, check out our blog.